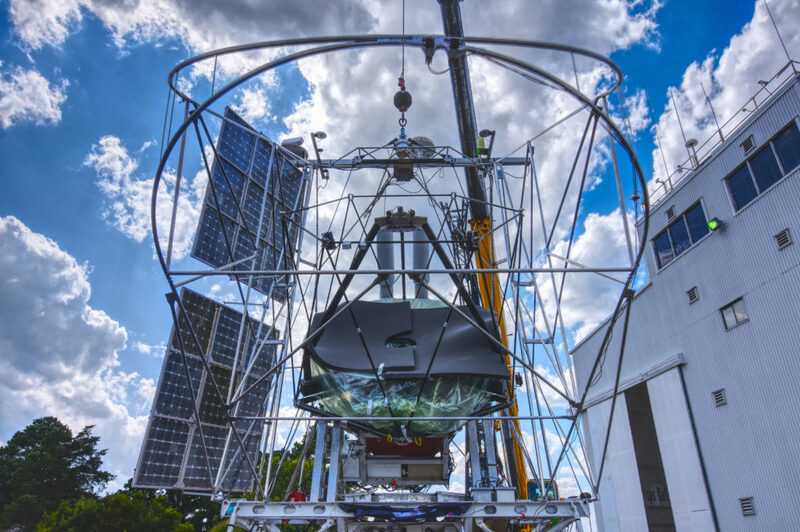 BLAST is a 5,000 pound balloon-borne telescope bound for the stratosphere over Antarctica, to search for the origins of stars and planets. This photo was taken by graduate student Paul Williams in the summer of 2018 in Palestine, Texas at the Columbia Scientific Ballooning Facility. He helped get BLAST-TNG ready for the trip to Antarctica.